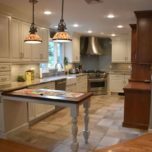 How Much Does a Kitchen Remodel Typically Cost? 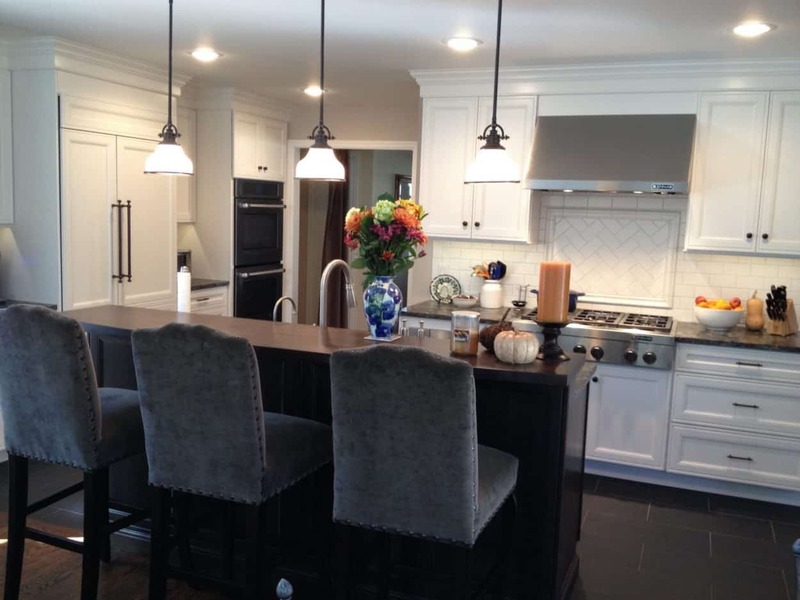 How Much Does a Kitchen Remodel In The Hawthorne, NJ Area Typically Cost? In most households, the kitchen often acts as the heart of the home. It’s the central location for hospitality when you welcome guests into your home and where meals are prepared to be shared amongst friends and family. Because of the communal nature of the kitchen, it’s no surprise that the kitchen is among the most commonly remodeled rooms in the home, with the greatest increase in home value among all other rooms. While the value of your property will increase with a state-of-the-art kitchen upgrade, this also typically comes at a fairly hefty cost. 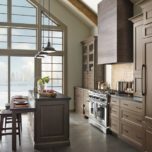 According to U.S. homeowners, the average cost of a kitchen remodel, regardless of size or scope, is just north of $20,000, with a wide spectrum on either end depending on how much or how little is being renovated. However, don’t be deterred by the cost, as those who are seeking to add a fresh, modern feel to their otherwise dated kitchen, will find it to be well worth the cost both while living there and when looking to sell. The cost of any kitchen remodel depends entirely on the size of the kitchen, the scope of the project, and the desires of the homeowner. According to the Houzz and Home survey done by the interior design and decorating website Houzz, homeowners will spend on average $11,700 for a small-scale remodel to $29,400 for a full-scale remodel for a small kitchen (<201 sq. ft.). For a larger kitchen (>201 sq. ft.), the range increases from $17,800 for a minor remodel to $42,400 for a major remodel. A small scale project could entail upgrades such as installing tile backsplashes for a colorful accent, upgrading the sink, painting walls, resurfacing cabinets, and other smaller scale features. 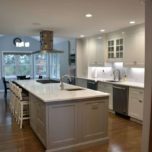 On the other hand, you could be looking to do a complete overhaul of perhaps a particularly dated kitchen, which could include pricier upgrades such as custom cabinet installation, new hardwood floors, countertops, and higher-end appliances. 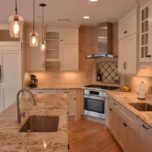 There are several factors you should keep in mind when preparing to take on a kitchen remodel. Do you plan on doing it yourself or through the help of a contractor? Before beginning any project, you should determine how much you are willing and able to allocate towards the remodel, as your budget will restrict the scope of your project regardless of what you wish to upgrade. 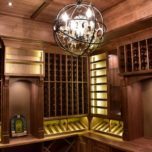 For example, if you have a budget of somewhere from $5,000-$10,000, but you wish to install new cabinets, countertops, and appliances, you may have to rethink the scope of the project or the amount of money you are willing to spend. If you are looking to hire a contractor to do the labor for you, be prepared to budget a little more for the cost of the labor. 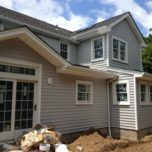 While the price does slightly increase, most homeowners find it well worth it to get a professional to assess the remodel plan and carry out the construction, as they offer years of invaluable experience that will really make the project come together. A contractor will know all of the finer details on proper installation methods, common mistakes to avoid, and will be able to offer a professional opinion that truly takes the kitchen redesign to a whole new level. Another factor to consider is how long you plan on living in the house after you remodel the kitchen. It is common to remodel a kitchen with the intent of raising the home’s resale value, but if that is the case, make sure not to break your budget. 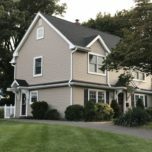 The optimal budget in this case should be no more than 5-15% of the home’s total value, as this is the approximate range homeowners can expect to recoup upon selling. 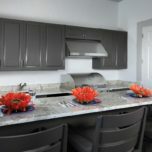 Conversely, if you intend on living in the house for many years to come, it may make more sense to splurge on items like new countertops, cabinets, flooring, and appliances, as you are likely to find value in the use of modern kitchen space. Pro Tip: At Trade Mark, we have found that our costs to completely remodel a kitchen are typically less than what a homeowner can do it for after factoring in a few considerations. This includes the additional time they spend managing the job and finding sub-contractors, errors they make in the process, and paying more than our trade prices that we are able to pass on to them. Plus, we are able to relieve the homeowner’s stress before, during, and after the project. We understand that the key to a successful project is proper planning and management. 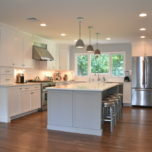 Whether your kitchen or the scope of your project is small or large, a carefully planned remodel can give your home a fresh modern feel that you’ll be able to enjoy for years to come. If you’re planning a kitchen remodel and looking for the right contractor for the job, contact Trade Mark Design & Build today. You can also visit our showroom located in Hawthorne, NJ for some unique inspiration ideas.